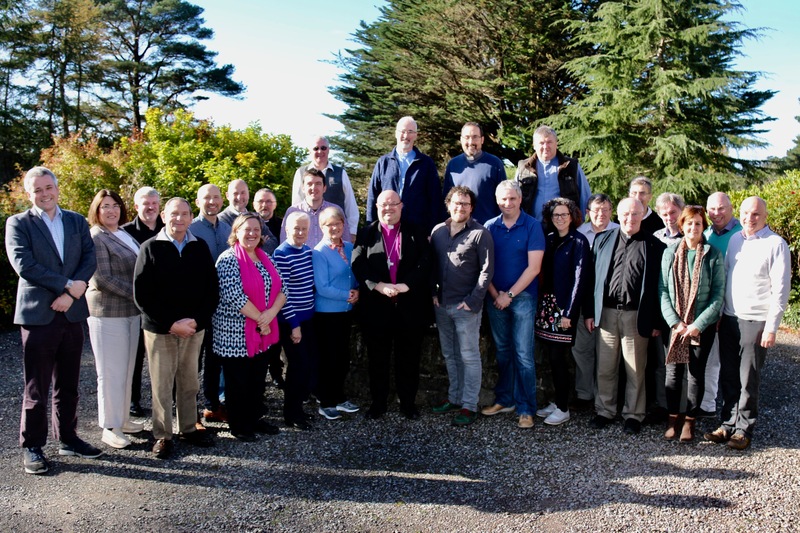 The annual gathering of the clergy of the United Dioceses of Cork, Cloyne and Ross at Ballylickey, near Bantry, County Cork, took place from Monday, 15th October to Wednesday, 17th October. The visiting speaker this year, the latest in a long line of distinguished speakers at Ballylickey, was the Leader of the Corrymeela Community, Pádraig Ó Tuama. Originally from Carrigaline, County Cork, Pádraig Ó Tuama is a poet and theologian based in Belfast. Since 2014 he has been the leader of the Corrymeela Community, Ireland’s oldest peace and reconciliation witness dedicated to transforming conflict through human encounter. His interests encompass poetry, religion, conflict and storytelling. 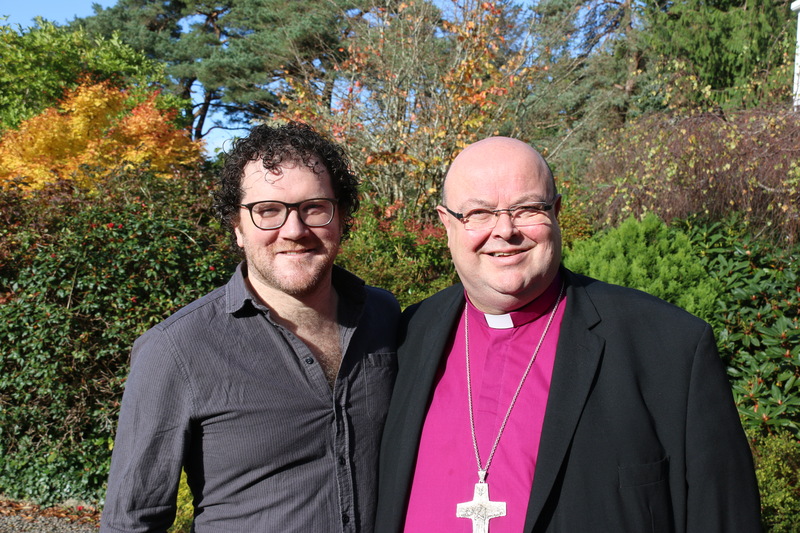 Pádraig Ó Tuama with Bishop Paul Colton. Some of the clergy of Cork, Cloyne and Ross at Ballylickey with Pádraig Ó Tuama and Bishop Paul Colton. This entry was posted in Ballylickey, Clergy Conference, Contemporary Issues, Continuing Ministerial Education, Cork. Bookmark the permalink.